Keeping pace with the growing demands and requirements of the industry usages we have come up with a sophisticated and highly efficient Wet Mixer. These mixers are used to blend the dry powder of flux with a binding agent to obtain a wet mixture. These machines are able to make even homogenized wet mixtures using different raw materials. These have found applications in various domains like pharmaceuticals, cosmetics, chemicals, food, plastic and many others. An even pressure is maintained throughout the process in the drum of mixtures of varying volumes to obtain a flawless end result. 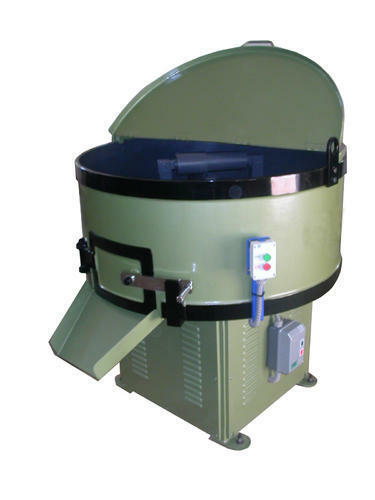 We offer wet mixers in a range of capacities and the design can even be customized to suit the requirement. Our industry experience of more than a decade has helped us in offering quality range of Dry Mixer, Wet Mixer, Wire Straightening and Cutting Machine, Extrusion Plant and Conveyor & Concentricity Tester. Known for their economical and energy efficient performance in diverse industrial applications, these are widely demanded by our clients based all over India. In manufacturing quality range of Welding Electrode Machinery, Plant & Equipment, we are supported by our experienced professionals, who are proficient with engineering excellence and has in-depth process knowledge of this domain. Further, the wide distribution network allows us to provide the range in a timely manner to our clients and thereby, maximizing their satisfaction. We are also looking For International Inquiries.